Original RAM Door screws for use on the MacBook Pro 15" range. 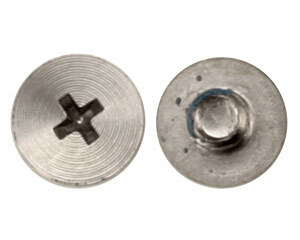 These screws are used on the RAM door bottom casing and are 4mm in length. This is a used screw from a recycled MacBook Pro.